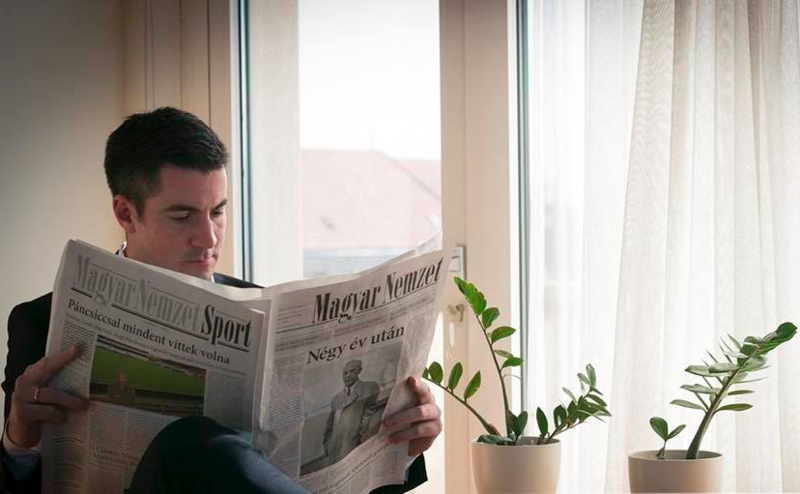 As we previously reported, political daily Magyar Nemzet was published yesterday after a nine-month hiatus. Following government-friendly Magyar Idők’s closure, Magyar Nemzet has reemerged as a pro-government daily four years after the notorious G-day in 2015. After the change of regime and a transitional period, the paper adopted a conservative, patriotic stance with modest style in the late 90s. The daily changed significantly after Fidesz-bond entrepreneur and old friend of party leader Viktor Orbán, Lajos Simicska, took over. The paper began functioning as a pro-Fidesz media outlet, seldom criticizing the party. It all ended when Simicska publicly insulted Viktor Orbán four years ago in 2015. After the conflict became official, half of the staff left and began working at the newly-founded pro-government publication, Magyar Idők. The other half remained and began writing articles increasingly-critical of the government. Right after Fidesz’s third two-thirds victory when any chance of receiving government subsidies or getting revenge on Viktor Orbán had faded away, the owner closed the paper. Following almost a year of non-existence, the first issue of the new era of Magyar Nemzet was published yesterday. 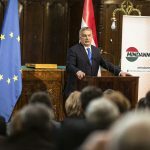 Prime Minister Orbán and several Fidesz politicians posted photos of themselves reading the “long-awaited” first issue of the newspaper. 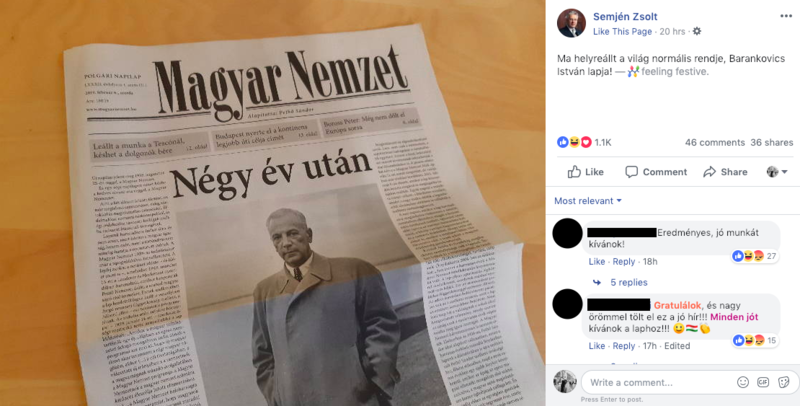 State Secretary of the Ministry of Defense Szilárd Németh posted a photo and shared his excitement over the paper’s return after a four-year wait.